You wouldn’t know it by the labels alone, but some craft brewers don’t actually own their own brick and mortar brewery. Instead, they employ the resources, equipment and often the labor of other breweries to make beer. The Brewers Association (BA) defines this type of brewery as a contract brewing company—essentially a business that hires another brewery to produce its beer. The contract brewing company is often responsible for recipe development and handles the marketing, sales and distribution of the beer. The term can also refer to a brewery that hires another brewery to produce additional beer they may not have room for at their current facility. This business structure is very common in the wine industry (often called “custom crush”) and specialty food trades, but is a sadly misunderstood segment of the craft beer industry and often a target of criticism and discrimination. The goal of this article is to challenge the negative stigma of contract brewing by explaining the practice and highlighting its positive attributes. It is important to note that some brewers avoid the contract brewer label by entering an alternating proprietorship, which temporarily shifts control of the brewery (but not ownership) from the host brand to the contract brand during certain brewery operations. First, there are the brands that contract the entire product from recipe development to packaging, often alluding to a fictitious brewery that doesn’t actually exist. This is common practice for private label beer brands brewed for large retail chains, mostly developed to skip the expense of the distribution tier. Next are the brewers that contract the equipment and labor, leaving the responsibility of recipe development and ingredient sourcing to themselves. Notch Brewing in Ipswich, Mass., and Bison Brewing in Berkeley, Calif., have found success with this method: “After 10 years brewing on my 10 bbl system, the only way to grow my business without a million dollars was to use another brewery’s spare capacity,” said Daniel Del Grande, owner and brewer of Bison Brewing. Instead of settling for capacity anywhere, some contract brewers provide their own capacity at trusted breweries, purchasing and installing their own fermentation tanks. “By securing our contract capacity, via purchasing our own fermenters, we have been able to focus on the sales and market development of our product line and not have to worry about product availability due to capacity constraints,” said Steve Altimari, brewmaster and president of High Water Brewing, who bought tanks that were installed at Drake’s Brewery in San Leandro, Calif. Although contract brewing has a higher cost of goods due to the overhead and profit owed to the host brewer, the bulk of the business is a variable cost with very little overhead. Rather than having the usual revenue expenses associated with owning a business—rent, lease on forklift, loans on brewing machinery, payroll for a large staff—contract brewers use their capital for additional brand building and marketing activities to yield a higher return on investment. Contract brewing is not only a great startup strategy for aspiring brewers, but also a sustainable solution for brewers looking to expand. 21st Amendment Brewery and Restaurant in San Francisco has opted to brew its own pub beer, but has an alternating proprietor relationship for its packaged product. They, like many larger contract brewers, enjoy lower cost and higher quality and efficiency as their partners have advanced filtration and bottling or canning machinery. So how does one find out if a brewery is contract or not? By law, all labels must cite the exact town or city where the beer is brewed—however, they aren’t required to mention the name of the host brewery. As a result, many consumers aren’t able to discern a contact brewing company based on a label alone. Some brewers choose to broadcast it as a part of their brand message, while many brewers only address the topic when asked. But does it matter? If the beer is good and deep-rooted in passion, does it really make a difference how and where it’s made? When it comes down to it, contract brewers can be just as innovative, creative, passionate, and hardworking as their brick and mortar brewery-owning counterparts. Good beer is good beer, regardless of how it is produced. 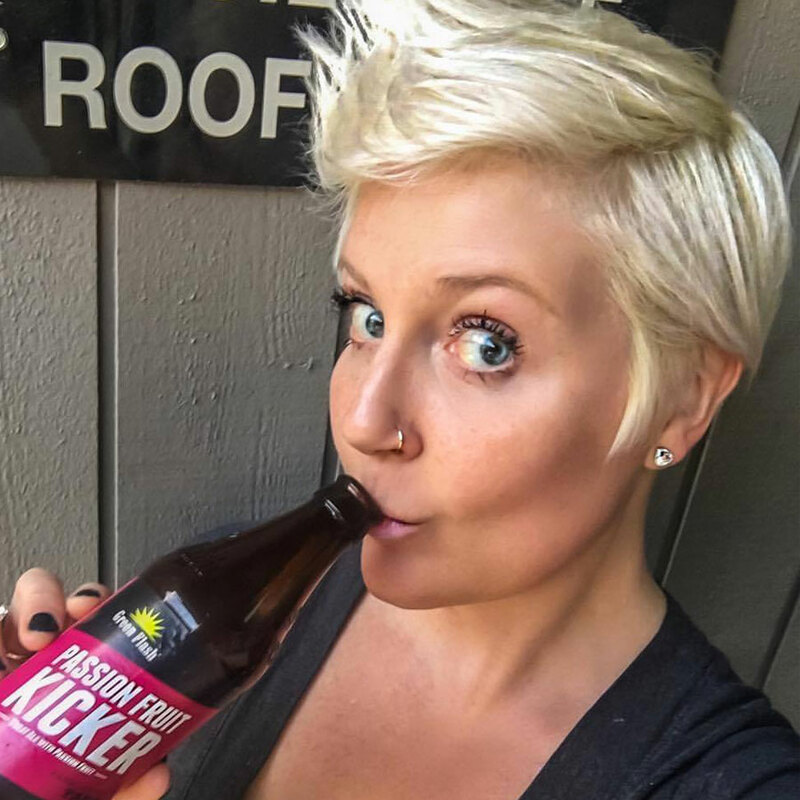 Ashley Routson, known amongst the craft beer community as The Beer Wench, is a self-proclaimed craft beer evangelist and social media maven on a mission to advance the craft beer industry through education, inspiration and advocacy. She is the author of The Beer Wench's Guide to Beer: An Unpretentious Guide to Craft Beer.